Whatever the unity sociology has found in and through diversity, it now has to find unity beyond diversity in facing the global challenges. This is what animated my concern ‘to respect all peoples as potential sources of wisdom for our own time. Already the Global Age is the first period in human history when both sexes and all peoples have gone a considerable way towards asserting their equal right to make their contribution to the common stock of human knowledge. In a career in sociology spanning over 50 years, Martin Albrow PhD (University of Cambridge) held the Chair in Sociological Theory in the University of Wales in Cardiff before becoming Professor Emeritus in 1989. Since then, he has held visiting positions in numerous institutions, including the Eric Voegelin chair in Munich, and chairs in the London School of Economics, State University of New York, Stonybrook, and the Beijing Foreign Studies University. He has been Fellow at the Woodrow Wilson International Center for Scholars, Washington DC, and the Käte Hamburger Center for Advanced Studies, ‘Law as Culture’, Bonn University. He is now based in London. Currently a Fellow of the Academy of Social Sciences in the UK, in the past he has been President of the British Sociological Association, Editor of its British Journal of Sociology and founding editor of International Sociology, the journal of the International Sociological Association. His first visit to China was in 1987 on an observational tour with the State Family Planning Commission and in recent years he has contributed to the annual Symposium on China Studies with the Academy of Social Sciences and the Ministry of Culture of the PRC. His specialties include social theory, organization theory and Max Weber’s thought, and he is internationally known for his pioneering work on globalization. His The Global Age: State and Society beyond Modernity (1996) won the European Amalfi Prize in 1997. Other books include Bureaucracy (1970), Max Weber’s Construction of Social Theory (1990), Globalization, Knowledge and Society (1990, ed. with E. King), Do Organizations Have Feelings? (1997), Sociology: The Basics (1999), Global Civil Society (co-editor) in 2006/7, 2007/8 and 2011 and Global Age Essays on Social and Cultural Change (2014). 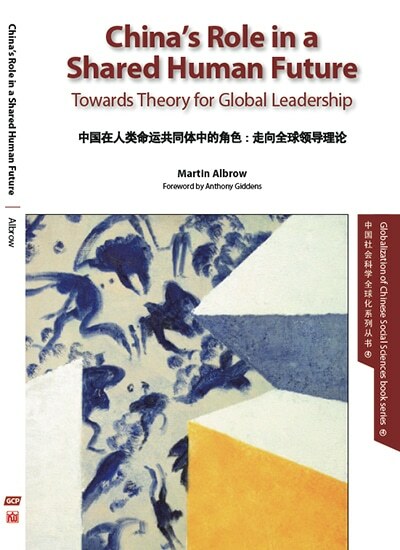 This book is about China’s role in the world to come and includes the author’s recent explorations of China’s readiness to assume a global leadership role. The book effectively links the study of Max Weber, an important Western theorist during the global transformation of the nineteenth to twentieth centuries, with the study of Xi Jinping’s thinking during the global transformation from the twentieth to the twenty-first century. According to the author, on the one hand, Western classical theory can still provide the core ideas for rethinking today’s global cooperation. On the other hand, Xi Jinping’s ‘The Belt and Road’ initiative, though only a very recent attempt to show how China as a new player in the world can help to heal its divisions, has as its foundation Xi’s thinking on the governance of China, which has demonstrated that the initiative will serve as a means to promote global peace and cooperation rather than strengthen great power rivalries. The author believes that we can shape global ethics in the process of rediscovering the deep roots of common civilized values that will underpin the global cooperative recovery. This book will be translated and available in Chinese. It is expected it will help a wider readership from China and other countries and regions to understand China and how it can contribute to the shared human future. Chapter Nine. Can there be a public philosophy for global governance? Chapter Ten. How do we discover common values? This is Vol. 4 in the Globalization of Chinese Social Sciences book series, edited by Xiangqun Chang, Director of Global China Institute and Honorary Professor of University College London, UK. Globalization of Chinese Social Sciences: Commemorating the 105th Anniversary of Professor Fei Xiaotong’s Birth is the second volume in the Understanding China and the World series, edited by the late Chinese sociologist ZHENG Hangsheng (1936–2014) and British–Chinese scholar Xiangqun Chang. 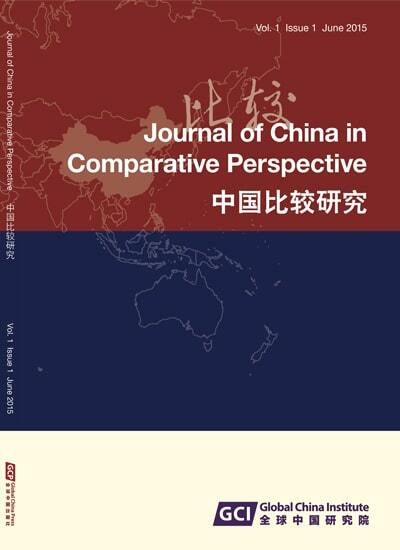 Both the title of the volume and book series deliberately reflects a new perspective on China, putting China in the context of globalization and thus inspiring comparative studies that enable non-Chinese to understand China and the world. The UK-based Global China Press (GCP) is the first publisher specializing in dual language publications that focus on Chinese perspectives of the world and human knowledge and non-Chinese perspectives of China in a global context. The co-publisher of the present volume, New World Press (NWP), was founded in 1951, and is a member of the China International Publishing Group (CIPG). It publishes multilingual books on social sciences, literature, management and other disciplines that serve to introduce China to the world. As early as the 1980s, NWP published the China Study series in English, covering China’s economy, politics, ethnicity, population, history, sociology and anthropology.